The God of War has changed… and this is not the Kratos you know. A difficult and unfamiliar road awaits as you explore a stunning retelling of a classic story. 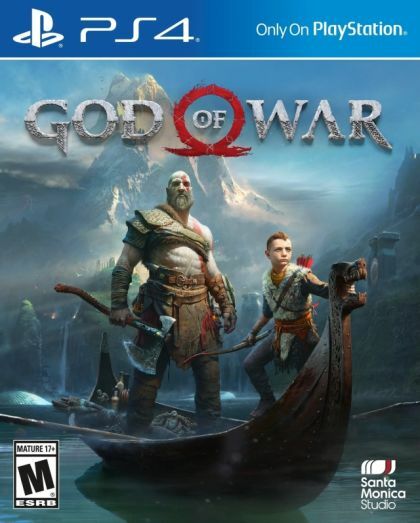 Join Kratos as he adventures through a deep and reflective journey of growth, violence and the desire to become a better man for the sake of his son. In a world of monsters, dragons and gods, the weight of responsibility rests heavy on your shoulders – and when your life is filled with blood and chaos, how can you prevent the mistakes of the past in order to protect your future? This startling reimagining of God of War deconstructs the core elements that defined the series—satisfying combat; breathtaking scale; and a powerful narrative—and fuses them anew. As mentor and protector to a son determined to earn his respect, Kratos is faced with an unexpected opportunity to master the rage that has long defined him. Questioning the dark lineage he's passed on to his offspring, he hopes to make amends for the shortcomings – and horrors – of his past. With an intimate, over-the-shoulder free camera that brings the action closer than ever, combat is up close, frenetic and unflinching. Kratos' powerful magic axe is a brutal weapon as well as a versatile tool for exploration. Always be on your guard.